“With Hillary Clinton to his right, female elected officials seated before him and cheering women filling the audience, Gov. 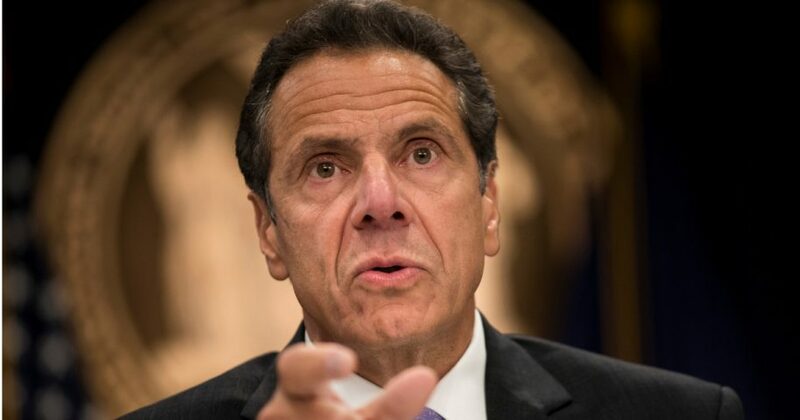 Andrew M. Cuomo promised to protect women’s reproductive rights by expanding the state’s abortion laws within the first 30 days of the new legislative session,” The New York Times reported on Jan. 7. The Democrats are increasingly becoming the party of abortion on demand. It is an appalling concept, but not a new one. “In 1921 the largest cemetery of sacrificed infants in the ancient Near East was discovered at Carthage. It is well established that this rite of child sacrifice originated in Phoenicia, ancient Israel’s northern neighbor, and was brought to Carthage by its Phoenician colonizers. Hundreds of burial urns filled with the cremated bones of infants, mostly newborns but even some children up to age six years old, as well as animals have been uncovered at Carthage,” The Associates for Biblical Research reported in the spring of 2019 edition. A quick glance through the pages of history tells us of several civilizations that sacrificed children to their gods. The Aztecs, Mayans and Incas sacrificed their children at the altars of their gods. It was viewed as a barbaric and horrific practice. It’s also, I believe, one of the roots to the Resistance to President Donald Trump and one of the reasons Christians are under attack. How? The Democrats and the media bring it to the forefront regularly. Chris Wallace, the moderator of the third debate, asked both Clinton and Trump about Roe v. Wade. Hillary Clinton reiterated her support for Roe v. Wade, which legalized abortion until viability nationwide. Donald Trump simply described what would happen if Roe v. Wade is overturned, which is that states would set abortion policies. As the Democrats and their media allies continue to thrust abortion to center stage in our national debate, the chasm widens between those who value human life and those who don’t. The left and their allies weaponize a culture of death and devalue human life. They do it in the name of individual freedom. The Trump presidency has unnerved them, and they are attacking with a vengeance. We must be vigilant. We must see the 2020 election clearly. It’s a vision election about who will direct this country. Whichever Democrat emerges from the pool, he or she will make abortion rights a big part of the campaign. Those who value life must rally behind the president. Mother Teresa summed it up well at the 1994 National Prayer Breakfast. “The greatest destroyer of peace today is abortion, because it is a war against the child, a direct killing of the innocent child, murder by the mother herself. And if we accept that a mother can kill even her own child, how can we tell other people not to kill one another? How do we persuade a woman not to have an abortion? As always, we must persuade her with love, and we remind ourselves that love means to be willing to give until it hurts.” Bill Thomas has been in local church ministry for over 25 years. He is also an adjunct instructor in history, Bible and education for two different Christian colleges. He’s authored two novellas, “From the Ashes” and “The Sixty-first Minute” published by White Feather Press of Michigan. He has also published three Bible studies, “Surrounded by Grace,” “The Critical Questions and More” and “The Road to Victory” published by CSS Publishing of Ohio.